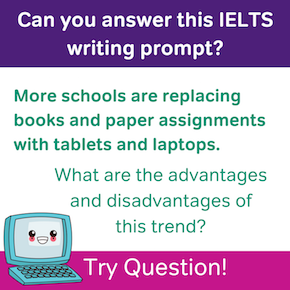 If you plan on taking the IELTS, give yourself the best shot at a high Writing score by mastering the basic pattern of an IELTS Academic Writing Task 1 response. As you may already know, the IELTS Academic Writing test is divided into two parts: Academic Writing Task 1 and Academic Writing Task 2. In Task 1, you will be asked to write a minimum of 150 words, transferring information about a given visual (such as a graph or chart) into writing. 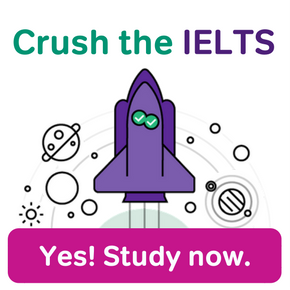 Task 1 is worth 1/3 of your IELTS Writing score. In Task 2 you’ll be asked to write at least 250 words in response to an open question with no clear or “correct” answer. Task 2 is worth 2/3 of your IELTS Writing score. From this comparison it’s easy to see why Task 2 is the more difficult of the two sections. So why is it important to focus on the IELTS Academic Writing Task 1? Writing Task 1 is a very predictable exercise. Therefore, if you can learn the basic pattern of a good Task 1 response, you can apply it every time, and save precious minutes for the longer, more difficult Task 2. 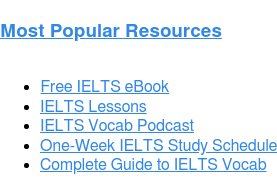 With that in mind, we’re excited to present our newest IELTS resource to you: the free IELTS Academic Writing Task 1 video! What Will I See in the IELTS Academic Writing Task 1 Video? 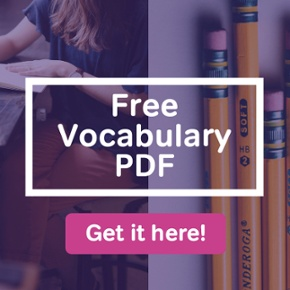 This free video breaks down the structure of a good IELTS Academic Writing Task 1 essay and turns it into a template for writing a strong response to any Task 1 question. In the video, our IELTS expert Elliot, will give you a brief introduction to Task 1, and guide you through this sample IELTS essay and response. By watching this video, you will learn the template you need to write a good Task 1 essay given any Task 1 question, and by the end of the video you’ll already have some practice applying that template under your belt. 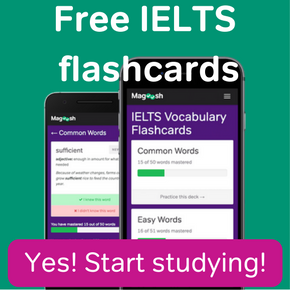 Now that you’re getting comfortable with the IELTS Academic Writing Section, go even further with Magoosh’s Complete Guides to IELTS Academic Writing Task 1 and IELTS Academic Writing Task 2!